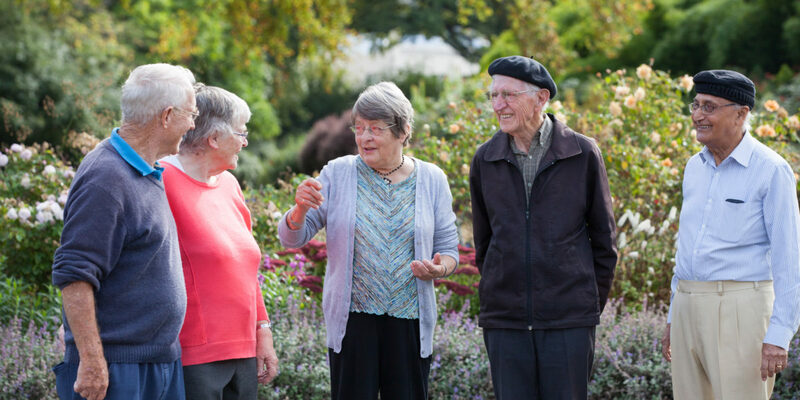 Ageing Well is one of 11 National Science Challenges that were allocated funding from the Ministry of Business, Innovation and Employment (MBIE) for ten years (NZ$ 34.9M; 2015-2024). The funding has been separated into two chunks (tranches), the second of which is scheduled to be allocated in June 2019, subject to the satisfactory completion of an MBIE-intiated review. As part of the review process, we submitted our Future Strategy document to MBIE on 2nd July 2018. Our Future Strategy maps out where we would like to take our research over the next five years. The document also served as the cornerstone of a presentation we made to an MBIE-appointed Independent Review Panel in August, at which we made a very strong case to be refunded for another five years. The Independent Review Panel will make a recommendation to MBIE’s Science Board, who in turn should notify us of the review outcome by mid-November 2018. 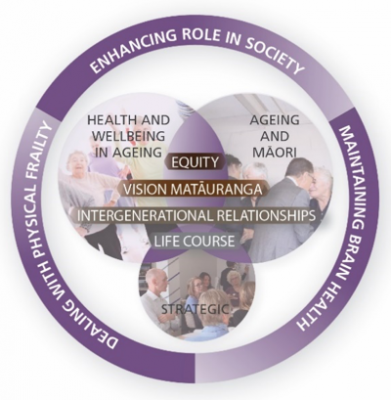 Subject to MBIE’s review announcement, Ageing Well proposes to build upon our previously gazetted research themes through two Focus Areas: Health and Wellbeing in Ageing and Ageing and Māori (Figure 1 below). These areas were identified after extensive consultation underscored the strong view that the original Gazette themes are too compartmentalised to facilitate the next phase of multidisciplinary, cross-institutional collaborations. Our future research will strive to take a more integrated approach to completing our Challenge Objective. Engage, or strive to engage, important stakeholders, to partner with the Challenge in translation and implementation of research outcomes. 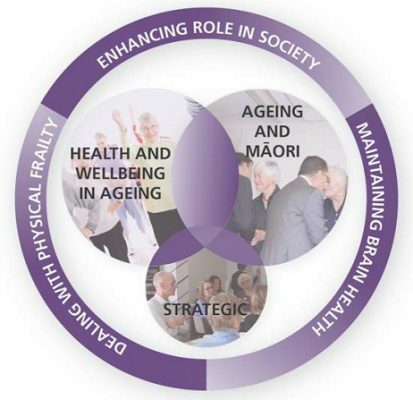 Figure 1: Ageing Well Focus Areas for 2019-2024: Two Focus Areas will be supported by specific Strategic Investment Initiatives. Research Priorities have been defined for each Focus Area based on consultation feedback. These Research Priorities will be used to direct Challenge funding within each Focus Area. In addition, Challenge investment will be expected to address cross cutting themes. Figure 2: Cross-cutting themes provide integration across research activities.